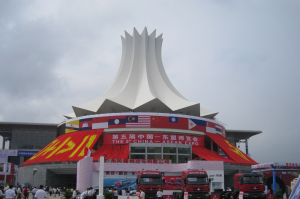 The 14th CHINA-ASEAN Exposition （short called CAEXPO）will open at Sep.12-15, 2017 in Nanning, China. Standing out from the other trade fairs, the CAEXPO bears the mission of consolidating the friendly relationships between China and ASEAN, accelerating the CAFTA construction and promoting the cooperation between both sides in various fields. It is a government-sponsored event that wins supports of all parties concerned and attracts the active participation of enterprises of both sides. It drivers forward cooperation in trade, economy and other fields as well as the people-to-people exchanges with its great political and diplomatic influence. And the rich outcomes produced in sectors like trade, economy and people-to-people exchanges in turn increase the bilateral political mutual trust and friendly exchanges. BOFU will attend CHINA-ASEAN Exposition in Nanning, China with his plastic modular formwork at Sep. 12-15, welcome to visit us at D08179.